Place the marbles inside one of the many starting points then watch as they make their way through the maze of twists and turns. 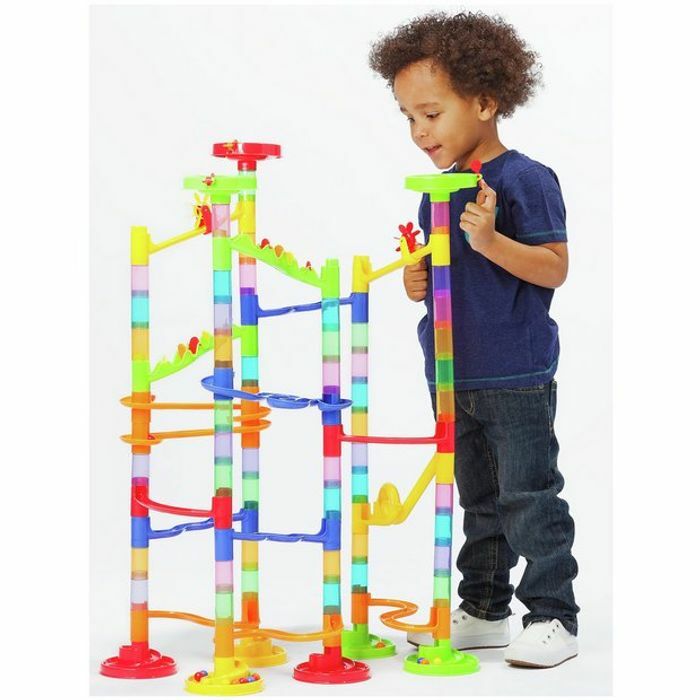 With so many routes, little ones will be fascinated as they experiment with the exciting marble run. Create your own maze and watch as the marbles race through the track. Comes with over 100 pieces including loops, wheels and chutes. Contents: 50 tubes, 20 tracks, 20 marbles, 6 base units, 3 toundabouts, 2 wheels.